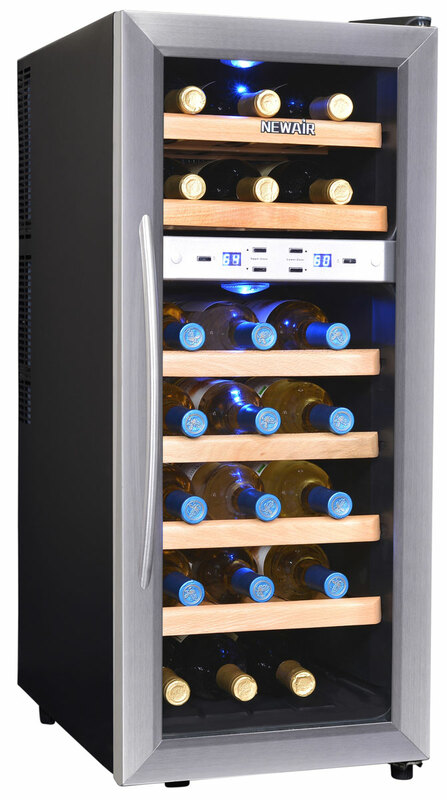 Serious wine connoisseurs will welcome both the style and the functionality of the NewAir AW-211ED Dual Zone Thermoelectric Wine Cooler. 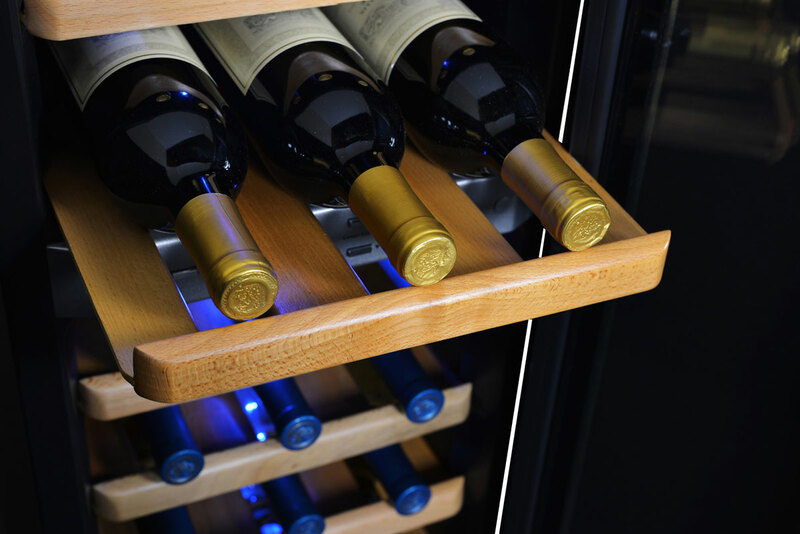 Compact enough to fit conveniently in even the tightest places, this wine cellar holds up to 21 bottles of your favorite vintages. 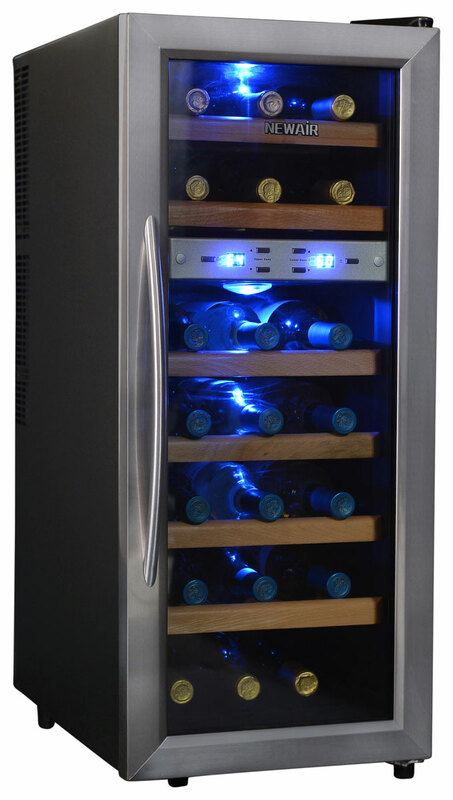 The sleek black and stainless steel design will complement the decor of your wet bar, den, kitchen or dining room. 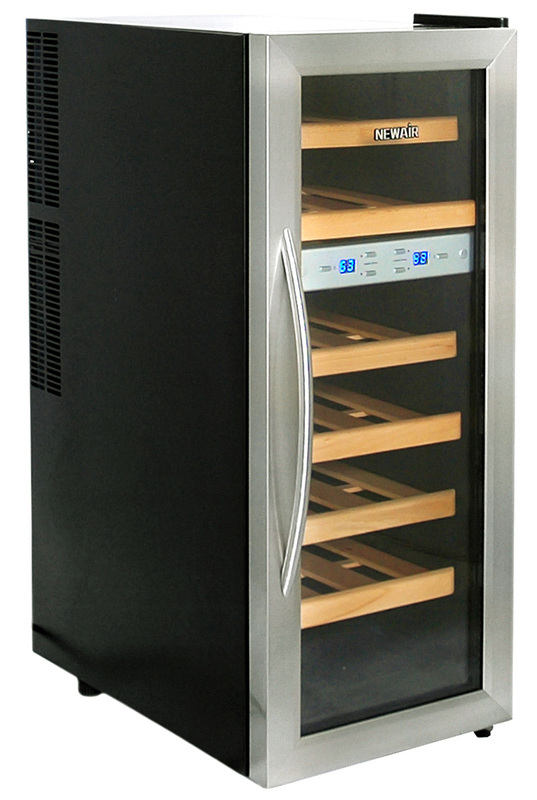 The NewAir AW-211ED is divided into two separate cooling chambers with independent temperature controls. 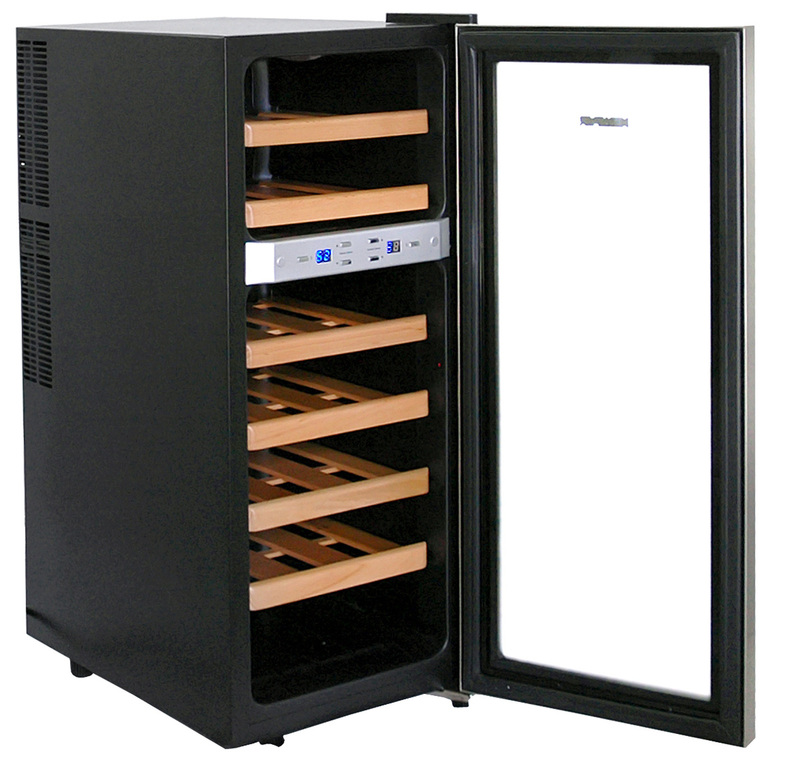 Store both reds and whites at the ideal temperature to preserve their best flavors. 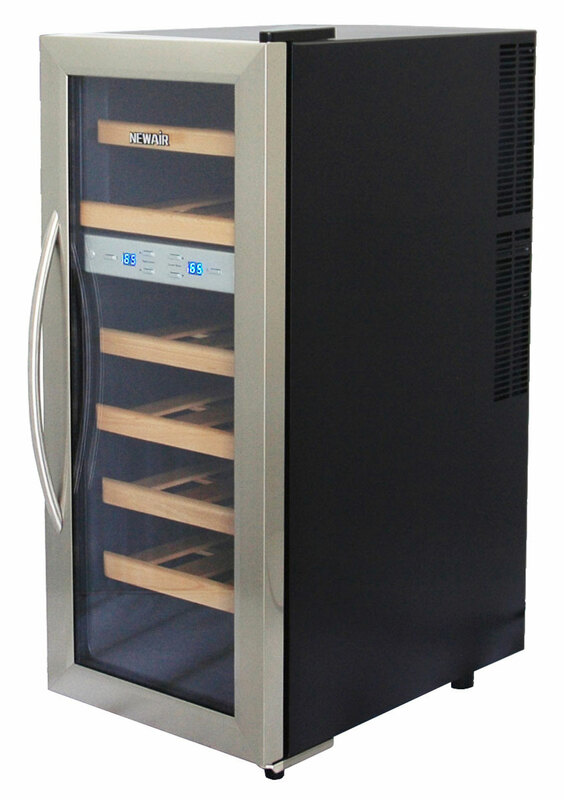 Built with thermoelectric technology, the AW-211ED keeps wine cool without depending on a compressor. 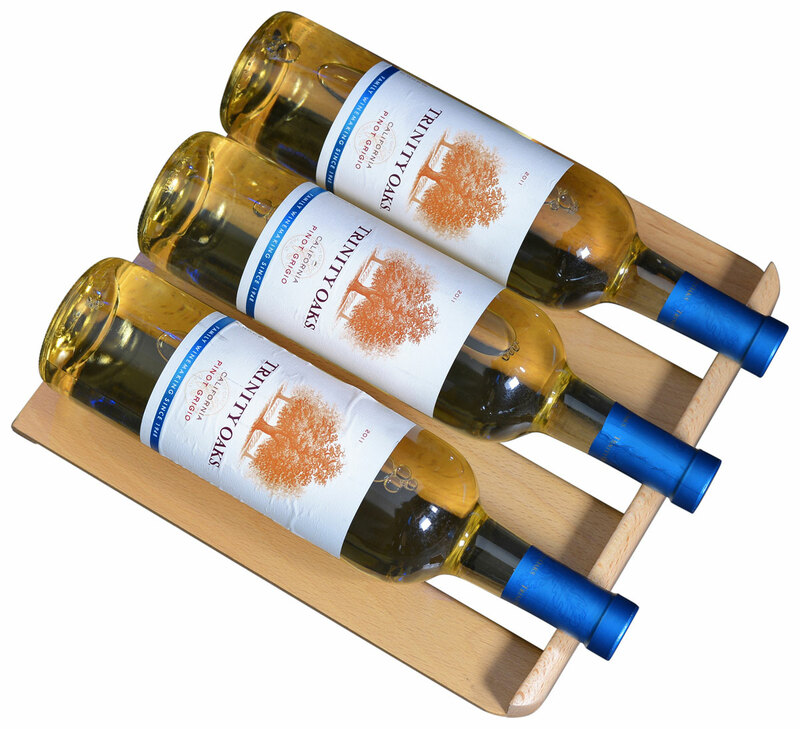 With no moving parts, your wine is protected from excess vibration, which prevents sediment from settling. 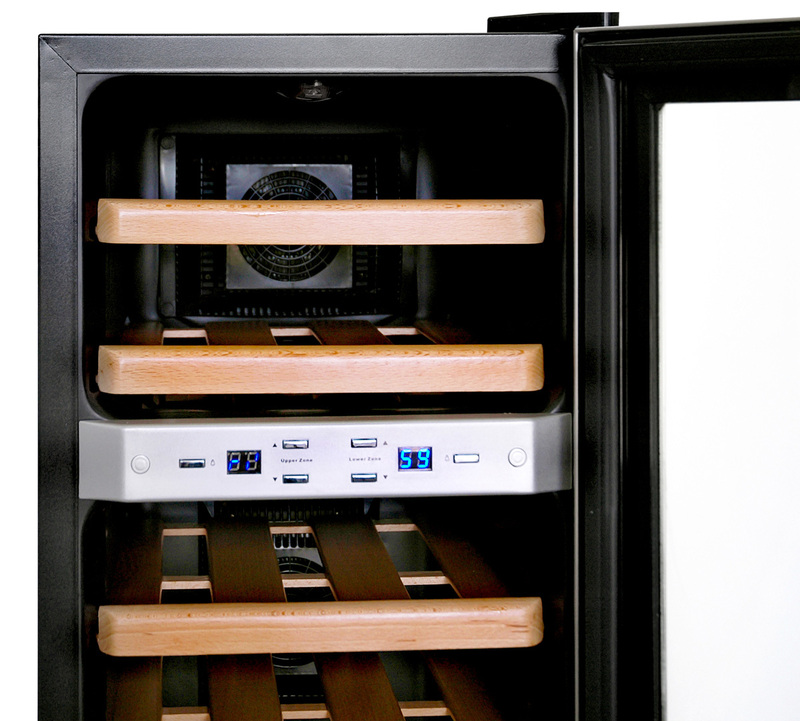 Plus, the unit runs quietly, so it doesn't disrupt your indoor environment. 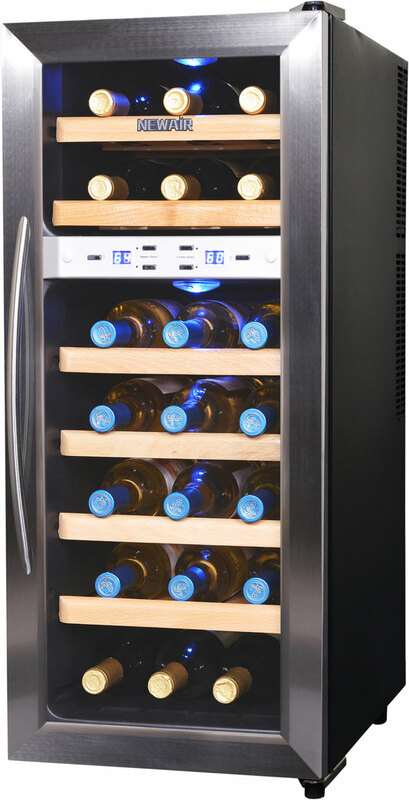 The AW-211ED thermoelectric wine cooler is more energy efficient than a standard compressor-run unit, saving you money on operating costs. 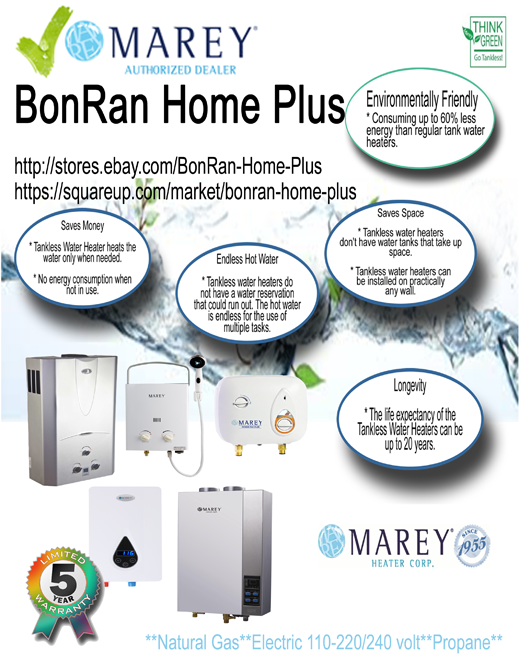 Plus, it uses no coolants or chemicals that can harm the environment. 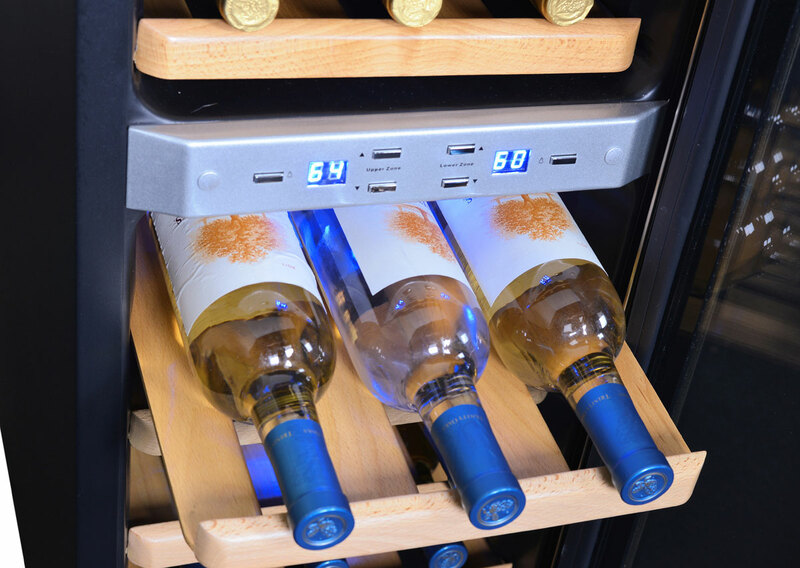 Control and monitor the temperature with the NewAir AW-211ED's push button digital control panel. 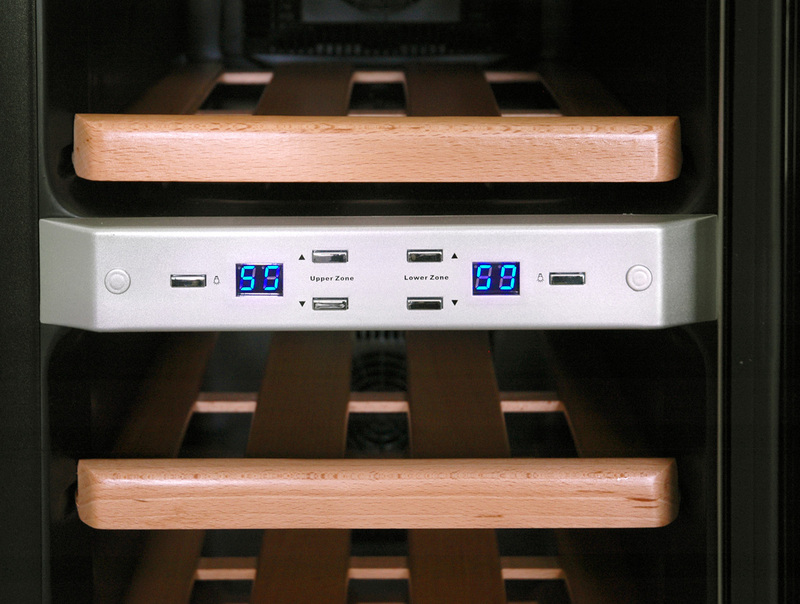 An interior LED lighting system provides plenty of illumination without the heat of traditional incandescent bulbs. 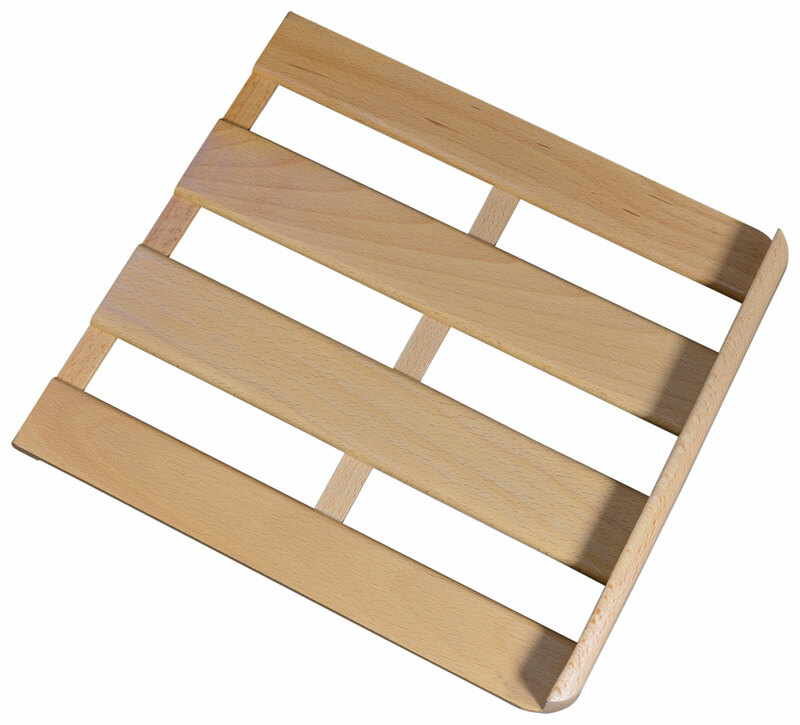 Product Dimensions 13.50" x 19.88" x 32.38"